Decided to pop up to our neighbour, Group Therapy, for a quick peek today after lunch! As I was bursting at the seams, I couldn't manage to get any more food/drinks in me. However I was pleasantly surprised with the space when we went up from the delightfully grass carpeted welcome mat. I suspect it is too good a hidden find to stay so quiet for long. 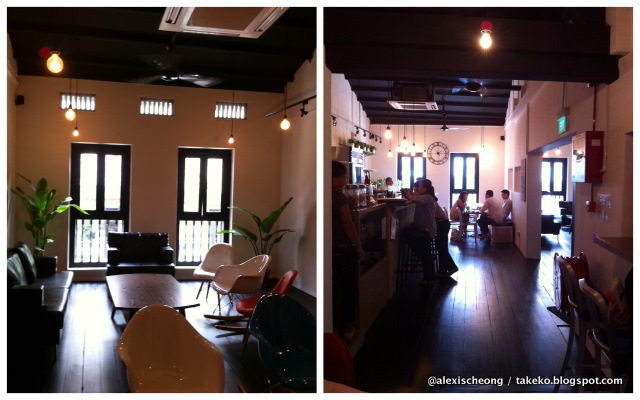 It is the perfect place for a cuppa coffee or brainstorming session! The decor was really classy and lovely. They managed to make full use of the entire space on the second floor of the shop house while still giving it pockets of more intimate areas. Being the newest cafe on the very hips Duxton area, it presents itself as a competitor to The Plain on Craig Road, and the neighbour just a few doors down, The Pigeonhole. Here's a quick peek. I will be back for more in the future, and will do a full report! According to 365days2play blog entry, there's no lack of food there. Was also very intrigued with their toilet concept. 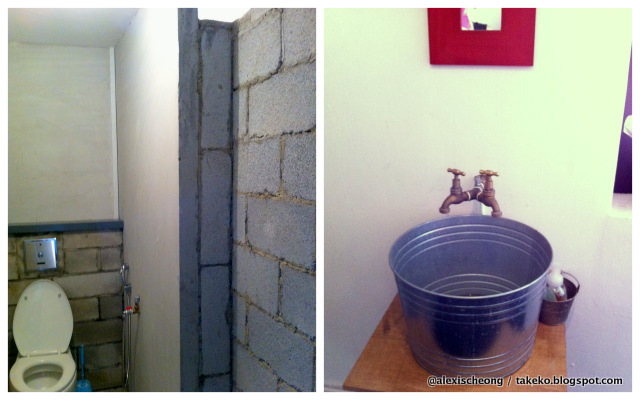 Raw concrete walls and a zinc basin sink! Omy Blog Club Domino's Pizza Dinner!